Groups are a fantastic way to connect with other people. And there's a group for almost every topic you can think of, from family groups (my mum set up a group a few years ago for her extended family when she was organising a reunion) to meal planning to business or blogging support. People even use groups to support paid programs they offer for sale on their websites. But that means that the noise on Facebook is horrendous (did you know that, from a computer, you can unfollow groups? It makes your newsfeed a little easier to navigate, because every post isn't visible) so it's easy to be swallowed up by the noise. And that isn't really what we wants as bloggers and business owners. So how do you get noticed by group members? Most groups are niche related. In the blogging world, many people start groups as a way of connecting directly with their community [and often the only way to join those groups is by signing up for the newsletter.] Whatever the topic, make sure you stick with it. One blogging group I'm in had someone who came into the group and ranted about their partner, wanting advice about something the partner had done, talk about awkward! So don't talk about gardening in a scrapbooking group, unless it is related to photos you're putting in your album. Seems simple enough [we all know I'm a rule follower], but so many people don't follow the rules of the group. This is the quickest way to get kicked out. Rules are there to make the experience of everyone in the group a worthwhile one. Whether the rule is related to how people behave [yes, some groups have to tell people], to whether you can share links, make sure you know the rules so it's a pleasant experience for everyone. Don't call out admin decisions. We've all seen comments like "admin, why did you delete my post?" but recently groups are including this in the rules because it's a big NO NO! Whether it's the group owner admining the group by themselves, or they've got a team working with them, don't argue with the decisions they make. They just want the group to be a nice experience for everyone, and by questioning them, you're bringing the tone of the group down. I've also seen some groups add this to their rules with a note that you're out if you do it. Don't post "delete if not allowed"
If you're in the group, people expect that you know what the rules are. So sharing a link from your Facebook page with a note that says "delete if not allowed" is just pushing it too far. Other members see you, and notice that you're not a rule follower, and speculate that maybe they don't want to connect with you down the track. If a group allows link sharing, it is almost always on a specific post (some groups allow sharing straight to the wall). Make sure you post it on the specified post, on the specified day. And that it's an allowable link - some groups don't allow link shares from a Facebook page, while some do. Follow the method of link sharing allowed in the group. 99% of Facebook groups are places for people to ask questions. Whether it's mums groups or lunch box groups or blogging groups or hobby groups, they're the place to ask questions and get answers on that topic. If you spot a question you can answer, then don't wait for someone else to answer, jump on in. After awhile, people realise you have the knowledge, and start tagging you in questions other people ask, so you can answer them. If in doubt, PM the admin or group owner. With the new linking of pages and groups, this is much easier to figure out, because you just message the page, but if you're not sure if something is a promo, or don't quite understand the group rules, it is always better to ask questions privately. Some groups don't like you messaging the admins, but I find this is usually huge groups with multiple admins. So which Facebook groups am I loving? I actually cull my groups regularly, but these are the groups I've been part of for awhile now. Mums with Hustle Set up in conjunction with the website and podcast of the same name, Mums with Hustle has grown quite a lot over the last twelve months. A mix of bloggers and businesses, predominately Australian, admins have worked hard to make this an on-topic, supportive group. There are two sharing threads each day, with a variety of topics, from celebrating successes each week, to connecting with others for mutually beneficial collaborations. Members may also ask on-topic questions on the group wall. Aussie Parenting Bloggers There are lots of blogging groups on Facebook, from general help groups to groups set up by particular bloggers to support their niche of blogging. 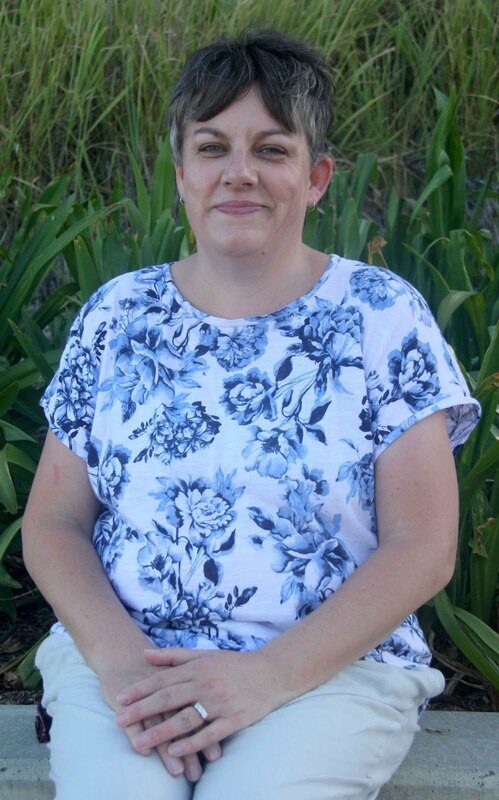 Set up specifically for Australian parenting bloggers (which also encompasses personal memoir bloggers) APB has grown into a supportive group of bloggers who know each other well, and in some instances amazing friendships have formed. Admins start sharing threads a couple of times a week, and encourage questions on the wall. Simple Business with Marissa Roberts Marissa has been around blogging for about six years now, but I reconnected with her earlier this year through an IWD live streaming event on Facebook. Her group is very quiet, with only a handful of active members, but Marissa's live streams each week hit the nail on the head and inspire me every time. But it's important to note, that despite how the internet makes it look, none of this is a quick fix. You won't be spotted in a group the day you join (unless you're breaking those rules!) It takes time, and being active in the group, for people to notice you. So show up, and be useful, and don't get noticed for the wrong things. 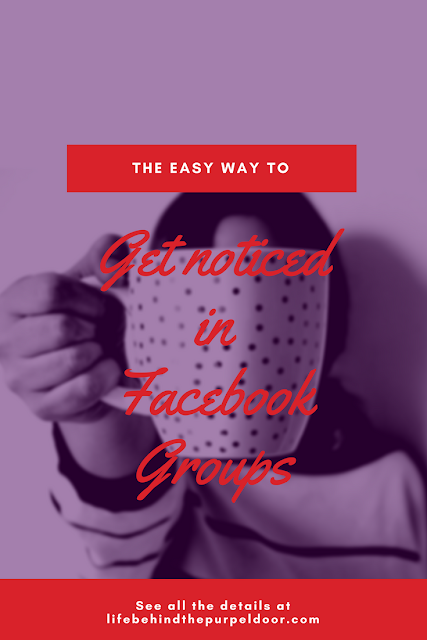 Have you got a favourite Facebook group?